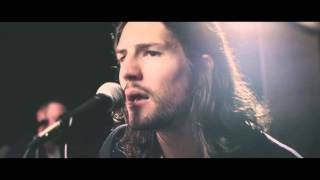 With his own brand of lyric-driven indie rock, singer, songwriter and multi-instrumentalist Craig Stickland is an artist with a lot of stories to tell. Born in Vancouver, Craig moved to Toronto at the age of 3. It wouldn't be until 10 years later that his interest in music first appeared. "Music's been a part of my life since I can remember," says Craig. "Before I ever picked up a guitar, I sang in high school cover bands. I was 16 when I started writing my own stuff." In 2007, along with Erik Alcock, Craig formed the band We Are The Take, recording their would-be debut album with Grammy-award winning producer David Bottrill (Tool, Silverchair, Muse). The band eventually split some time later, allowing Craig to shift his focus to his own material. "I started writing my own stuff again, focusing on what I wanted to sound like," says Craig. "I learned how to write from Erik. He's an amazing songwriter and he taught me everything I know about writing: Be extremely self-critical and never settle." 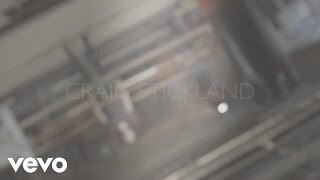 Much of Craig's lyrics are inspired by stories about human behaviour, each song revealing the ways in which love, sadness & power are all interconnected. His stints as a Toronto bartender, actor and model have all influenced his musical journey in their own ways, contributing to his understanding of people and his ability to capture it in words. "I want to get my music out to as many people as possible," says Craig. "It's very new. I feel like I could reach a lot of people. I just want to find way to get it out there. I feel like a lot of people will relate to my music, to these feelings and emotions that I write about. Each song I write is different and I want people to make their own interpretations. That's the great thing about music."